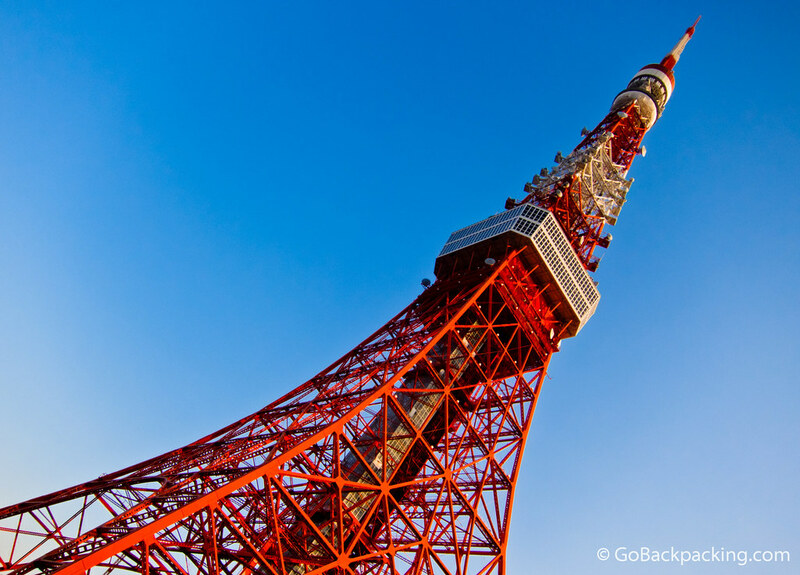 Built in 1957, the Tokyo Tower was inspired by none other than the Eiffel Tower in Paris. To outdo the French, it's 13 meters higher, yet weighs almost half as much (4,000 tons). In person, it doesn't look as tall as the Eiffel Tower, nor as elegant. I took the elevator to the top observation deck at sunset, however a thick haze was settled over the city, and it turned out I could've saved the entrance fee as I was happier with the photos of the tower itself than the city views from above! The Tokyo Tower at sunset. We saw this from our walk across the rainbow bridge– too funny.